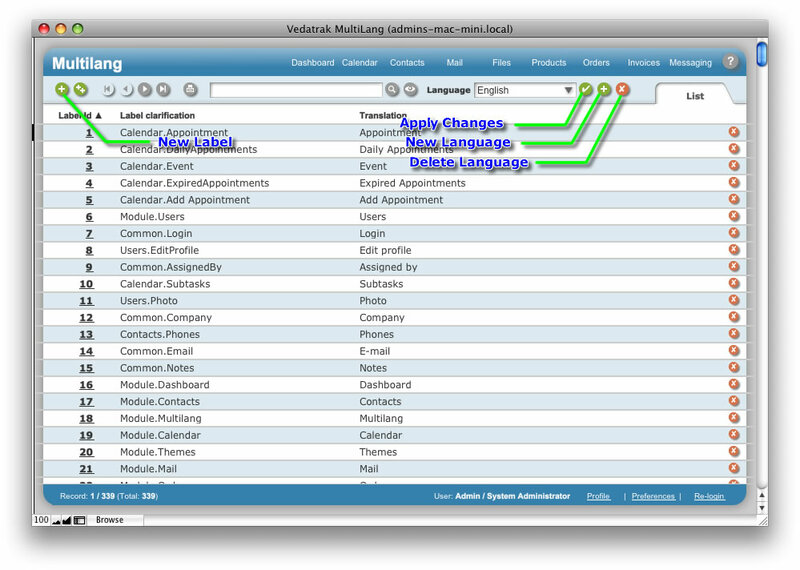 Each user may choose their own language for Vedatrak. Each language has a dictionary with each word used in Vedatrak. MultiLang List View allows users to edit the dictionary for the existing languages and create new ones. 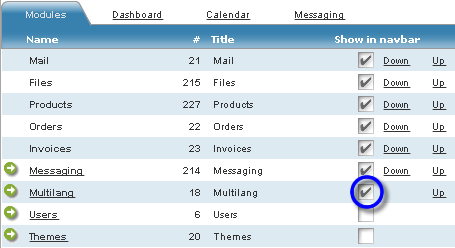 Click the MultiLang button in the Service Modules navigation bar in Dashboard. Configure your system default Navigation Bar to show the Multilang module to acess Multilang easily using Navigation Bar. Open the Vedatrak MultiLang.fp7 file directly.